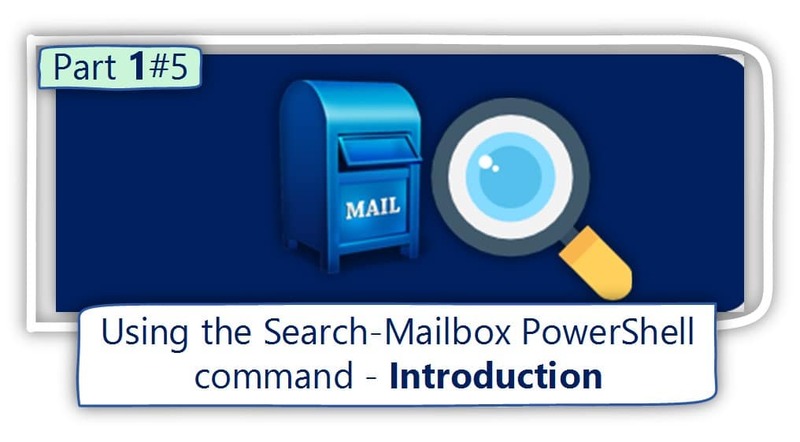 In the current article, we will review how to use the Search-Mailbox PowerShell cmdlet for performing a search on a specific Exchange mailbox + copy the search results to a “destination mailbox” (Target Mailbox). The Search Results (mail items) will be copied to a Target Mailbox and saved in a dedicated folder (Target Folder). The Target Folder name will be – Search Results – Bob. 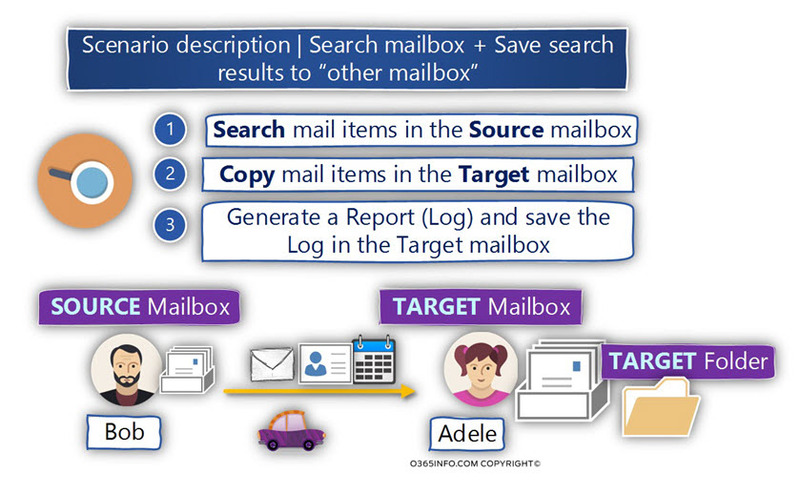 In the following screenshot, we can see an example to a scenario in which the Source Mailbox belongs to Bob, and the Target mailbox is – Adele’s mailbox. The Search-Mailbox cmdlet creates a New folder (Target Folder) and stores all the Search Results (copy the mail items) in this folder (the Target folder). Each of the “mailbox spaces” (Archive and Primary) includes a dedicated folder named – Recoverable Items, that store the Search Results that were “fetched” from the Recovery mail folder -the Dumpster (number 2 in the diagram), that include Soft deleted + Hard deleted mail items. As mentioned, the Search-Mailbox cmdlet is a very powerful PowerShell cmdlet, that can use many types of Search Query filter that will help us to “fetch” (find and copy) a very specific mail items. In the following section, we review a couple of examples to the various Search Query that we can use. In this scenario, our goal is to copy all the mail items that exist in the Source Mailbox to the Target Mailbox. The search results will include all the mail items from the Primary Mailbox, Archive Mailbox (if exists) and the Recovery mail folder (the Dumpster). In this scenario, we want to locate (search) and copy only a specific type of mail items from the Source Mailbox. Search for mail items with a specific TEXT string that appears is an E-mail Message Subject line. Search for mail items with a specific TEXT string that appears is an E-mail Body. Search for mail items with a specific TEXT string that appears is an E-mail Message Subject line or Mail Subject. Search for mail items with Sent on a specific Date. Search for mail items with Sent on a specific Date Range. Search for mail items that was Received on a specific Date range. Search for mail items that was Sent or Received on a specific Date range. In this section, we would like to search mail items that were sent from a specific sender or reach to a specific recipient. Search for mail items that was Sent from a specific Sender (the FROM mail felid). In this section, we would like to search mail items that have an attachment. Search for mail items, that have an attachment with a specific File extension. Search for mail items, that have an attachment with a specific file name suffix. Search for mail items, that have an attachment. Search for mail items, that their size is “bigger” (greater) than a specific size. To define two or more filters, we can use the logical operators such as – “OR”, “AND” and more.